The exhibition “Lines of Thought – Meinhard von Gerkan – 50 years of architecture in drawings and sketches” celebrates the 80th birthday of architect Meinhard von Gerkan, founder of studio gmp, and inaugurates the Architecture Pavilion the studio designed recently. A collaborative project, is how architects Allford Hall and Monaghan Morris describe Burntwood School in London. The project is the result of teamwork by people in a number of professions: architects, landscape architects and a graphic artist, all of whom contributed their experience to making "a good school". 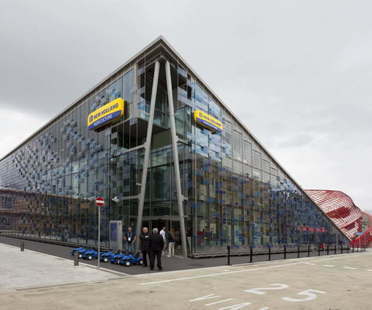 New Holland Agriculture has its own pavilion at Expo Milano 2015: Sustainable Farm Pavilion, designed on the basis of the principles of sustainable architecture and energy conservation and assembled dry, with no mortar, cement or other binders, using Graniti Fiandre’s Active floor tiles. 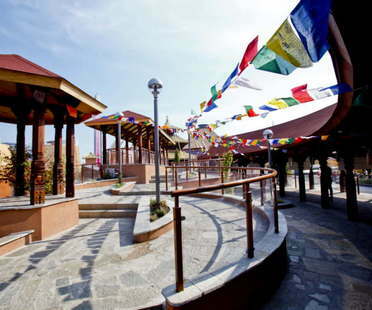 The Nepal Pavilion for Expo Milano 2015 has finally been completed and was presented to the public on July 12, after work had been suspended when many of the Nepalese workers returned home after the earthquake in April. The Archi Depot Tokyo exhibition at Triennale di Milano and the pavilion and national day of Japan at Expo Milano 2015 offer an excellent starting point for looking at architecture in Japan presented recently in Floornature. 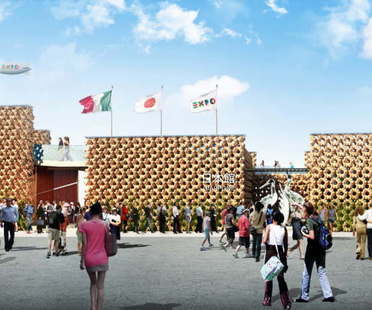 Diversità Armoniosa is the title of the Japanese Pavilion for Expo Milano 2015. The project by Japanese architect Atsushi Kitagawara combines principles of traditional culture with advanced technologies. The finalists in the World Architecture Festival (WAF), coming up in Singapore in November, were announced at WAF London, including 3 Expo Milano 2015 pavilions.